World Championships are back on U.S. soil this year - this week - and begin today in Richmond, Virginia. Nop, I have never been to the city, nop I am not there. But I do want to watch the competition. 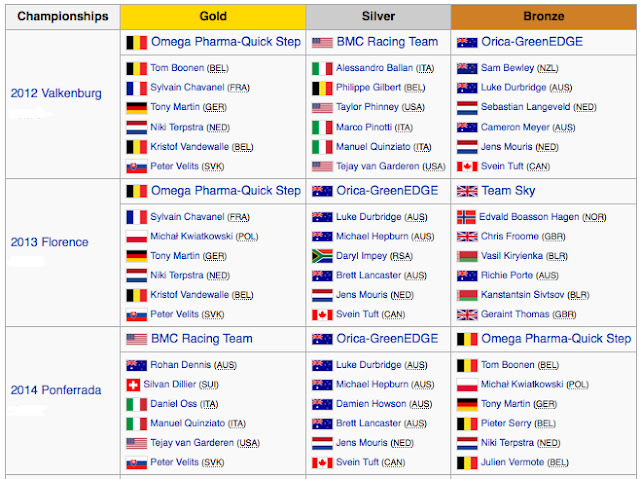 I started to search for just the simple facts of the race (and it took me awhile): start times, who is racing, where are they racing and how can I watch the time trial if I am not at the race. Much of the fun of any competition is guessing who will win and by how much (BMC, Movistar, Ettix, Orica, Sky). The next best part of a competition is making sure you don't miss it! The times should get faster with every team to take the start ramp. TTT Race Women: 11:30 a.m. – 12:55 p.m.
TTT Race Men: 1:30 p.m. – 3:35 p.m.
2015 UCI Road World Championships - TV Schedule (UCI) - *CNBC returns live at 12:00pm for the Men's time trial (after a 1 hour gap between the women's and men's race coverage). 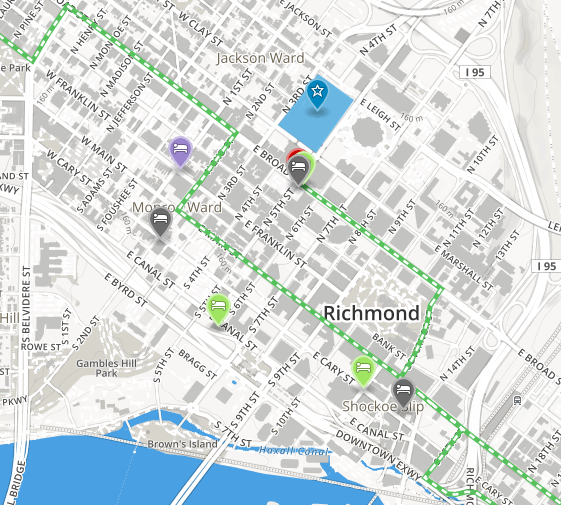 Tip for watching: TV networks need to place frequent ads, so watch the Richmond 2015 app during commercials. You can find the Live coverage on the app (*free) under the menu tab (not on the home page). The time trial course begins in Henrico County at Lewis Ginter Botanical Garden, racing through Richmond's historic Northside neighborhoods, the route travels along rural Route 5 paralleling the Virginia Capital Trail winding through the historic Civil War site of Richmond National Battlefield Park, returning into the city at Shockoe Bottom onto Governor Street and finally the final 680 meters false flat climb to the finish line. 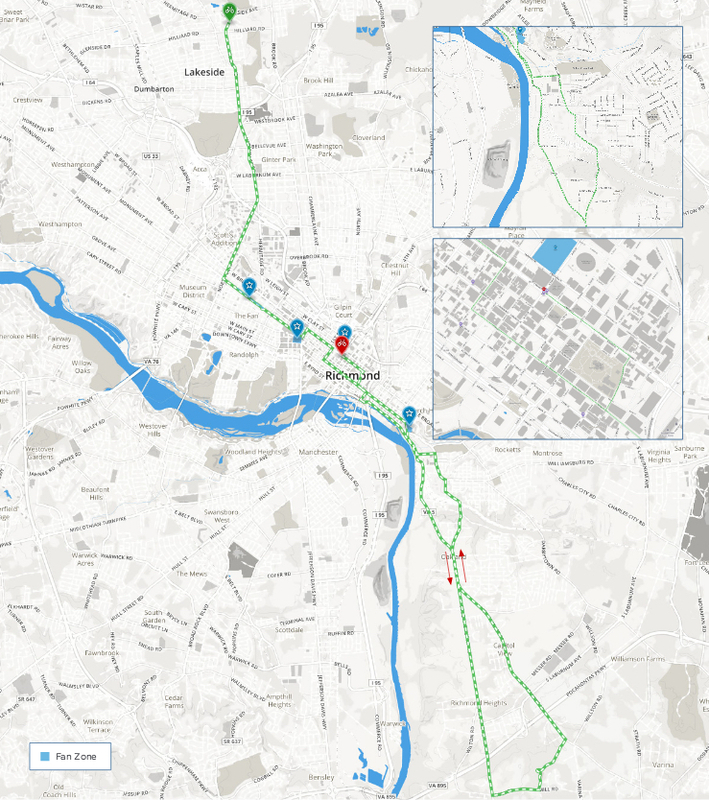 In case you are at the race - you will need to know how to Navigate the Worlds - Roads Guide to Sunday, September 20th. Wow, it looks very confusing. Good thing the course is relatively flat (240m /787ft change in elevation) and basically anywhere you watch at team time trial is exciting. Which teams have won the team time trial in the past years? Sometime wikipedia is extremely helpful in presenting condensed information.